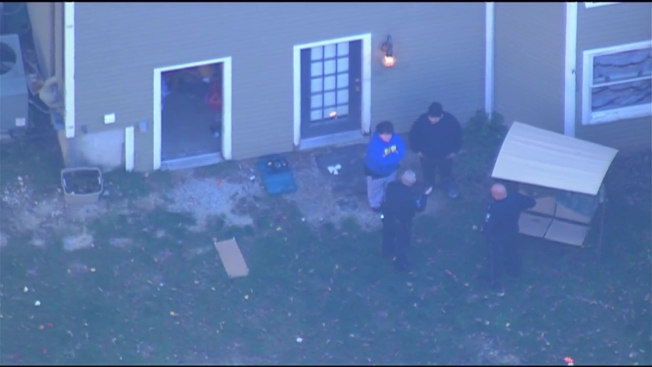 Police are searching for a suspect following a report of a burglary with possible shots fired in Auburn, New Hampshire, and add they found a small grow operation in the home where it happened. Auburn police say officers responded to the area of Wood Hill Drive and Massabesic Drive around 8:30 Wednesday morning, where a resident there said he fired a shot at a male intruder after confronting him in the basement. The intruder fled the scene, but police have not been able to locate him. Residents on an Auburn community Facebook page said they received calls from the Auburn Village School saying it was in "shelter-in-place" mode, but that has since been lifted. Auburn Police said they do not believe that the man is a threat to the general public. Later, back at the scene on Wood Hill Drive, police executed a search warrant and found a small grow operation. The investigation is ongoing, and anyone with information is asked to call Auburn police at 603-483-2922.